FET, Opto, VCA, Vari-MU…..you’ve probably heard these names to describe types of compressors, you sort of know which type is right for what, but what do they really mean? Each name represents a different type of circuit design that the compressor uses to react to the signal you put through it. Before I list each of the types and what they do, know that compressors all serve the same function. You can use them as a leveling device or just for tone or saturation. How ever you choose to use a compressor, know that each style is like a different flavor. It takes time and ear training and a lot of A/B comparison to be able to distinguish between each. Field-effect Transistors, or FETs, use an electric field to control the gain of the unit. The most popular example is the iconic 1176. FET style compression has super fast attack and release capabilities which really allows you to shape the transients. This makes them a favorite on drums for many engineers. The drawback to their fast speed is there isn’t much range. A fellow engineer once described the release settings to me as being either “fast or faster.” The fastest release setting on an 1176 is 50ms, and its slowest release is 1100ms. The fastest attack time is a blazing fast 20 microseconds, and the slowest is a not-as-blazing-but-still-pretty-damn-fast 800 microseconds. Regardless of the lack of flexibility it still sounds great on just about anything you put through it. Guitar, bass, vocals, drums, keys have all found their way through an 1176 with great results. The 1176 is synonymous with FET compression, but some lesser known FET compressors include the Daking FET III, Chandler Little Devil, and the popular 1176 Clone by Warm Audio which I’ve heard great things about. These compressors use a photocell as a detector and a light bulb or LED to determine the gain reduction. The light will glow depending on the strength of signal passing through it and reduce the gain accordingly. These compressors are much less sensitive to transients and peaks due to the lag experienced by the photocell. Contrary to what it might seem because of how fast the speed of light is, opto compressors are considered to be slow and smooth. 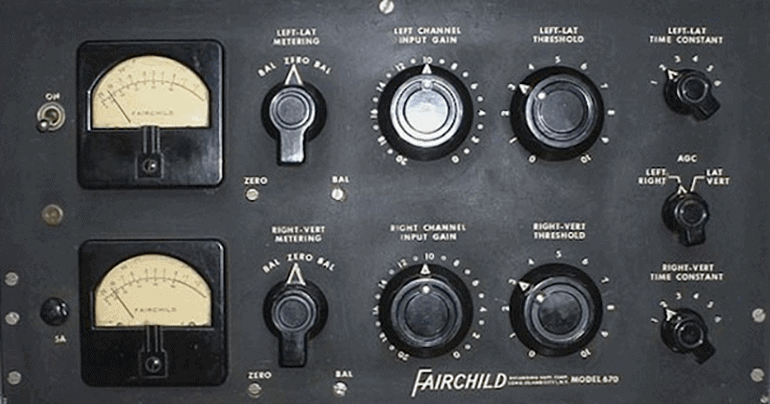 Most opto compressors don’t have total control over the attack and release settings, like the LA-2A which is arguably the most well known and highly regarded compressor of all time. The attack time is frequency dependent which is very likely the main reason these units have such character. Popular optical compressors include the Universal Audio LA-2A and 3A, Avalon AD2044 and Warm Audio WA-2A. If you could choose one compressor to use for the rest of your life, your best bet would be a VCA style compressor. Known for their fully controllable circuits allowing you to really fine tune each setting. VCA compressors are valuable in every aspect of production whether it be tracking, mixing or mastering. They can be entirely transparent while still being able to add the glue a mix or drum bus needs. Drums sound great through these compressors because they are very good at transparently taming sharp peaks. VCA stands for voltage controlled amplifier, but one VCA doesn’t necessarily sound like the next. Since parts can be sourced a lot more cheaply than the other styles of compressors on this list, the majority of low quality/prosumer units use a VCA circuit. Legendary VCA mix bus compressors include the iconic SSL G Series and the Empirical Labs Distressor. Next PostShould you go to school for audio engineering?